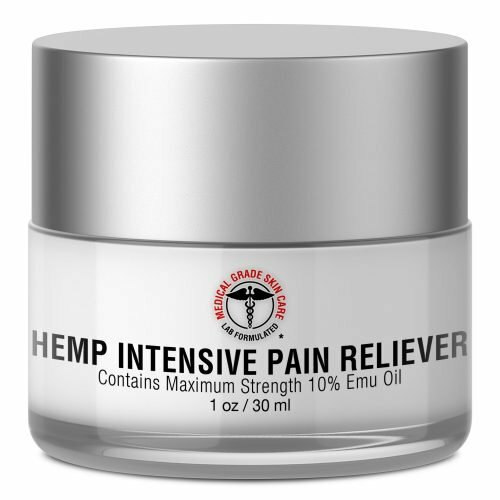 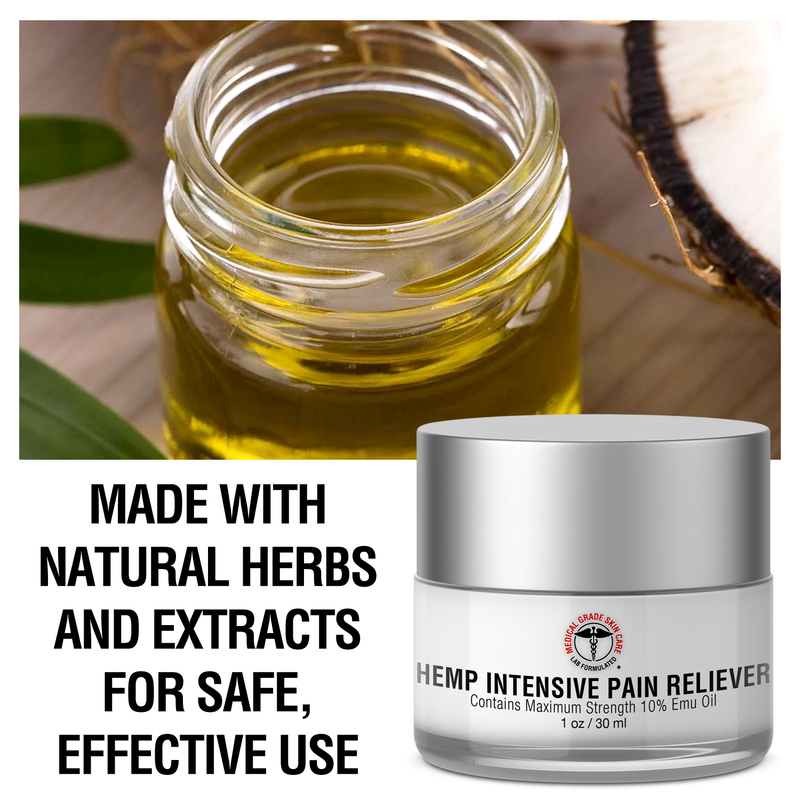 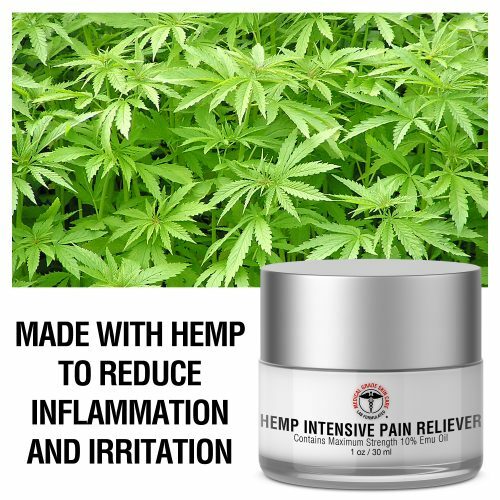 If you’re looking for relief from pain but don’t want to reach for pills or tablets, grab our Medical Grade Skin Care Hemp Intensive Pain Reliever instead for respite from achy muscles and joints and whatever ails you. 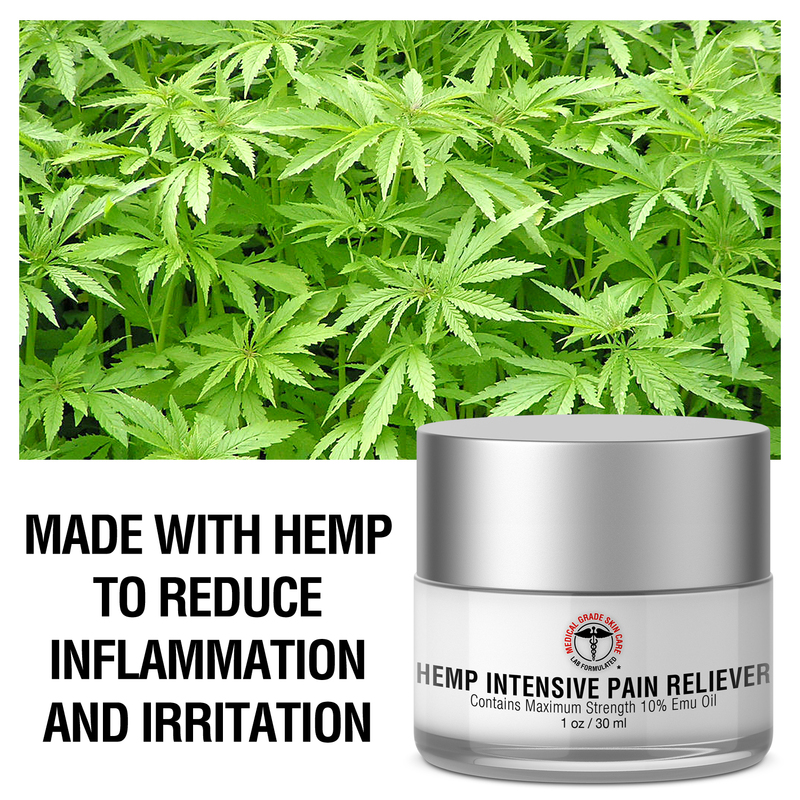 Inflammation and pain in the body is a normal part of life as a natural response to harmful stimuli, providing protection from infections and repairing damaged tissue. 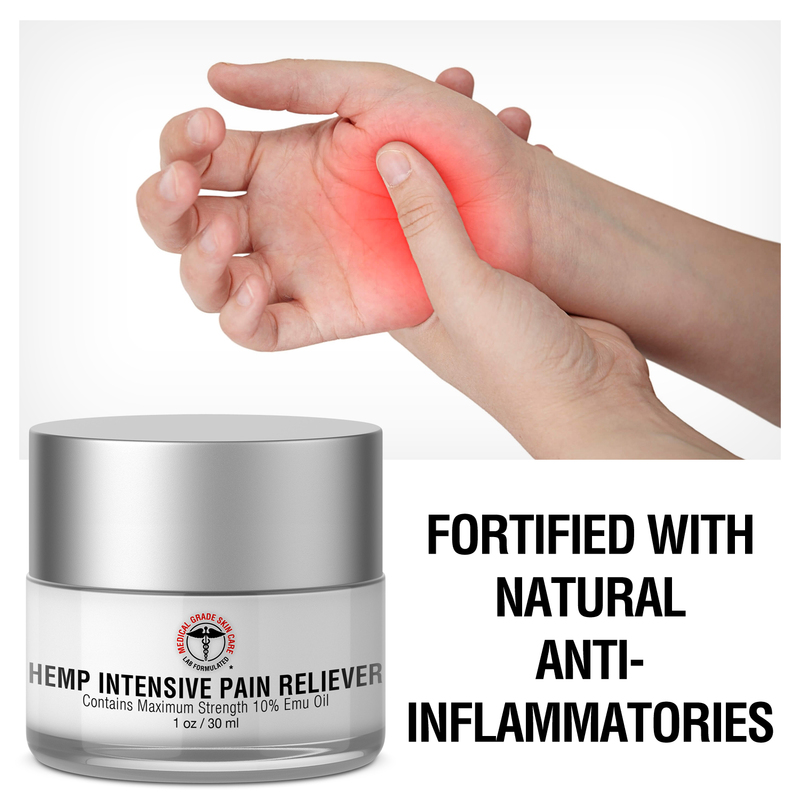 While our bodies have natural resiliency, sometimes an external boost is needed to ensure the damaged tissue gets the fatty acids and nutrients it needs for complete repair. This cream is made with natural ingredients known for their anti-inflammatory and analgesic (pain reducing) properties for relief on an achy body. Hemp Oil is included for its unique ability to lower swelling in the body, as well as for its powerful antioxidant effects to remove irritants that aggravate aches and pains. 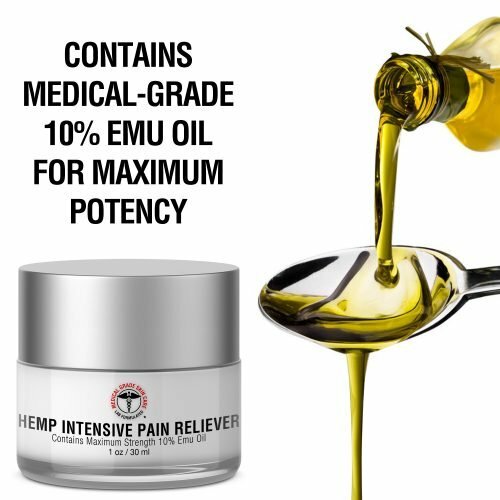 This formula also includes a medical grade 10% concentration of Emu Oil for its transdermal properties, enabling it to absorb through the skin and reach deep into the body tissue and treat damage at its source. 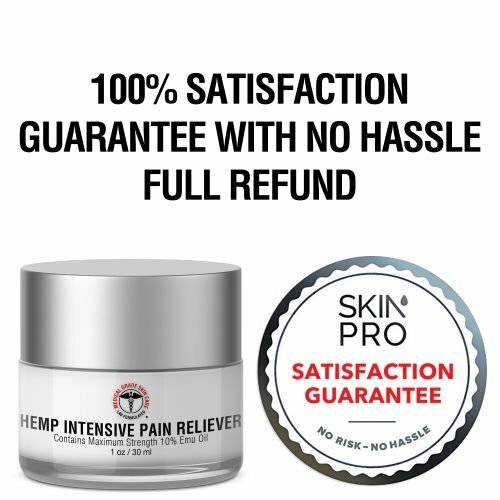 Apply to affected area no more than 3-4 times daily. Purified Water, Emu Oil, Aloe Barbadensis Leaf Extract, Squalane, Glycerin, Stearic Acid, Cetyl Alcohol, Stearyl Alcohol, Ethylene Glycol Distearate, Menthol, Cetyl Phosphate, PCR Hemp Oil, Arnica Montana Flower Extract, Boswellia Serrata Extract, Allantoin, Phenoxyethanol, Caprylyl Glycol, Potassium Sorbate, Hexylene Glycol, Disodium EDTA, Tocopheryl Acetate (Vitamin E).